The widely acclaimed vocal ensemble New York Polyphony has on its previous recordings for BIS focussed on Franco-Flemish polyphony (endBeginning, BIS-1949), the English Renaissance (Times go by Turns, BIS-2037) and Christmas (Sing thee Nowell, BIS-2099). Each of these discs – which have been highly praised by the critics, receiving no less than two Grammy Award nominations – has also included contemporary works, resulting in striking resonances between music from across more than half a millennium. 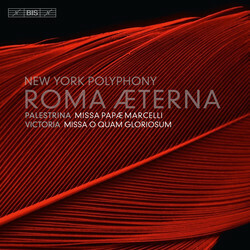 With their new album, Roma aeterna, the ensemble follow the example of so many musicians before them and go on a pilgrimage to the Eternal City, but this time they remain in the 16th century throughout the disc, constructing a programme centred on two of the greatest composers of the era – Giovanni Pierluigi da Palestrina and Tomás Luis de Victoria. 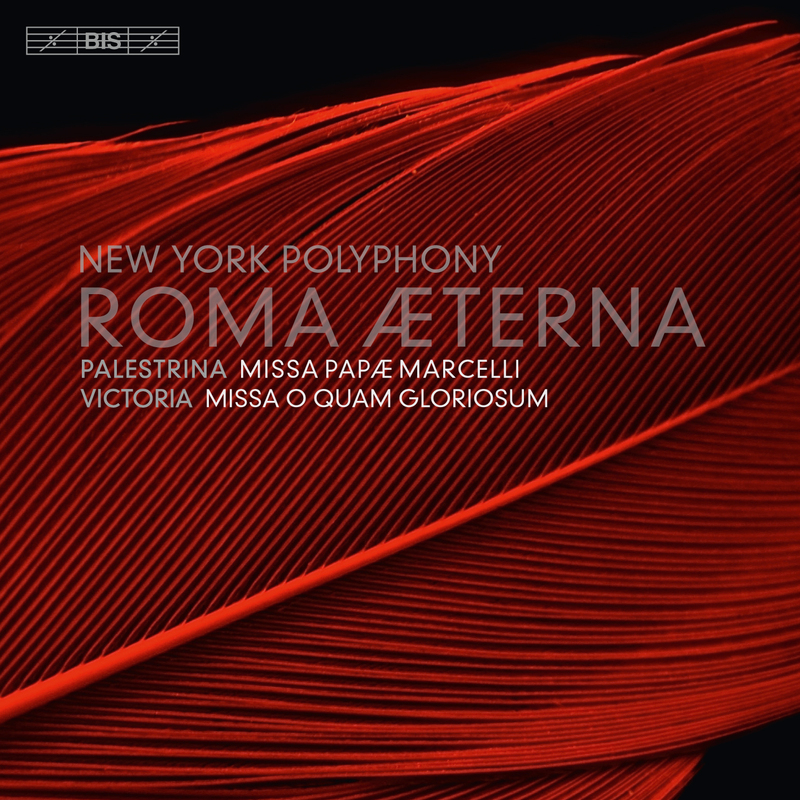 Palestrina’s polyphonic art has influenced composers throughout the ages and continues to do so today, and his Missa Papae Marcelli is often regarded as the crowning glory of vocal music from the era. His slightly younger colleague Tomás Luis de Victoria was born in Spain, but went to Rome to study in 1765 and remained there for two decades. During that time he published a number of works, including Missa O quam gloriosum and the motet Gaudent in cœlis. The programme includes works scored for four as well as for six voices, in which the four members of New York Polyphony are variously joined by Tim Keeler (countertenor), Andrew Fuchs (tenor) and Jonathan Woody (bass-baritone).